This bar, set in one of the most beautiful hotels in the city, resides in a 19th century building, near to the Opera House and Boulevard Andrassy. The New York Café embodies the splendour and opulence of the intellectual past of the city. 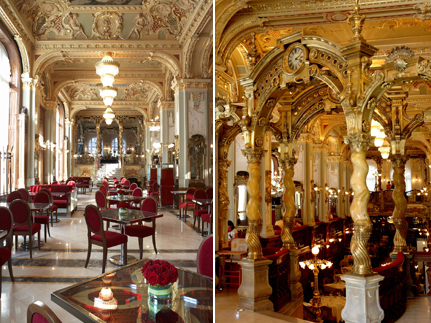 Today, it is still considered as one of the world’s most spectacular cafes, designed in line with traditional Hungarian architecture, with frescos by Gusztav Mannheimer and de Ferenc Heisenhut, Venician lights, columns and golden stuccos…Come here at cocktail hour or later, to try their tempting selection of grappas.